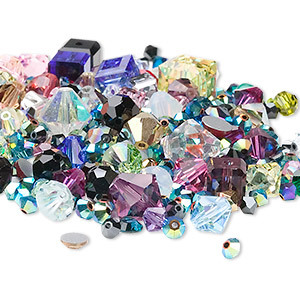 Bead and component mix, Swarovski® crystals, mixed colors, 3mm-15x6mm mixed shape. Sold per 25-gram pkg, approximately 40-95 pieces. 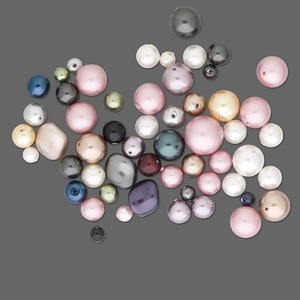 Pearl mix, Swarovski® crystals, mixed colors, 3-14mm mixed shape. Sold per 25-gram pkg, approximately 20-45 pearls.